Stonehenge was the Lourdes of its day, to which diseased and injured ancient Britons flocked seeking cures for their ailments, according to a new theory. 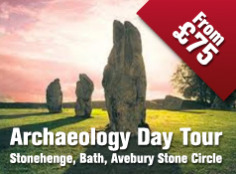 For most of the 20th century archaeologists have debated what motivated primitive humans to go to the immense effort of transporting giant stones 240 miles from south Wales to erect Britain's most significant prehistoric monument. 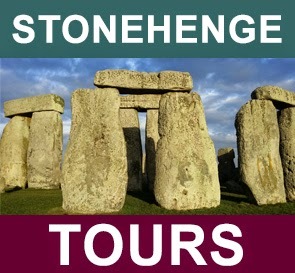 Stonehenge was built in different stages between 3000BC and 1600BC and theories about their meaning and purpose have ranged from the serious to the wacky. The most widely accepted view is that it was to honour their ancestors. Now Timothy Darvill, professor of archaeology at Bournemouth University, has breathed new life into the controversy with the publication of a book which proposes that the monument was in fact a centre of healing. 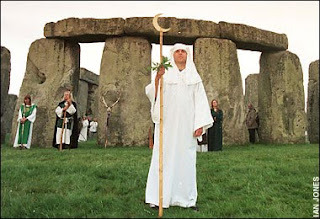 Prof Darvill also backs the recent view that modern-day druids and hippies who celebrate the summer solstice at the site in the belief that they are continuing an ancient tradition should in fact carry out their rituals in December. In his book Stonehenge: The Biography of a Landscape, Prof Darvill points to evidence that many of the human remains excavated from burial mounds around Stonehenge, dating from around 2300BC, show signs of the individuals having been unwell prior to their death. Chemical analysis of their teeth has shown that a good proportion of those buried near the monument were not locals, but in fact came from as far away as Wales, Ireland and the Lake District. A grave uncovered in 2002 three miles from Stonehenge revealed the remains of a man who became known as the Amesbury Archer. He was found to have originated in what is now Switzerland. Prof Darvill also points to 14th century folklore in the form of written accounts referring to a magician bringing the stones from the west of the British Isles. "It was believed that these particular stones had many healing properties because in Preseli there are many sacred springs that are considered to have health-giving qualities," said Prof Darvill. "The water comes out of the rocks used to build Stonehenge and it's well established that as recently as the late 18th century, people went to Stonehenge to break off bits of rock as talismans. 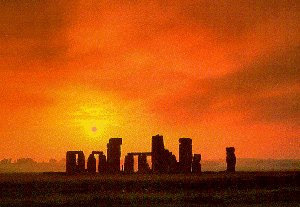 "In the case of Stonehenge, I suggest that the presiding deity was a prehistoric equivalent of the Greek and Roman god of healing, Apollo. "Although his main sanctuary was at Delphi in Greece, it is widely believed that he left Greece in the winter months to reside in the land of the Hyborians — usually taken to be Britain. "With the incorporation of the stones from Wales, Stonehenge is a very powerful and positive place of pilgrimage." Prof Darvill believes those seeking to tap into the monument's powers should do so in December during the winter solstice when our ancestors believed it was occupied by Apollo.